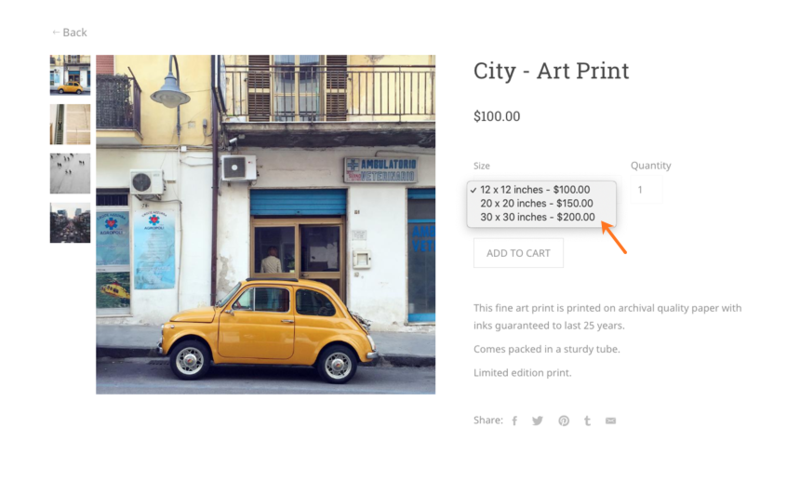 Product options let you setup options with different prices for a product. For example, a t-shirt can have product options based on size (S, M, L, XL) or a print can have product options based on sizes (12×12, 20×20, 30×30 inches). Each option can have a different price if required. 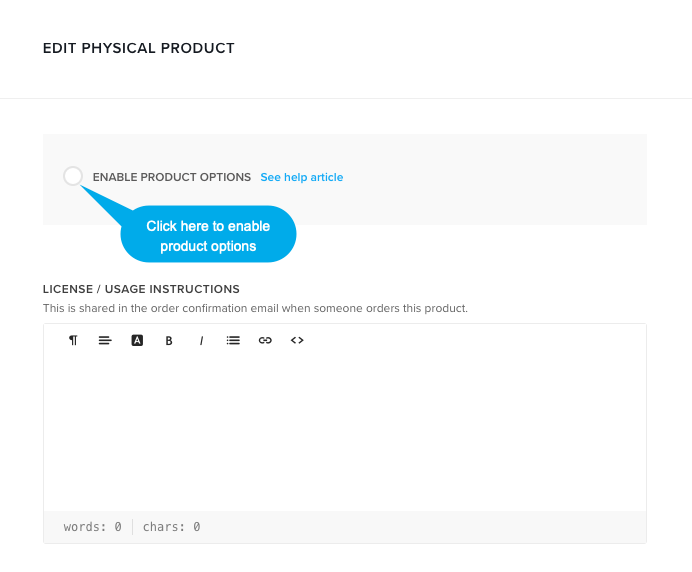 Product options can be created when you are creating a product or you can edit any existing product to add product options. See this article to learn how to create products. On the product creation/edit page, scroll down the page. You would see the enable product options button. 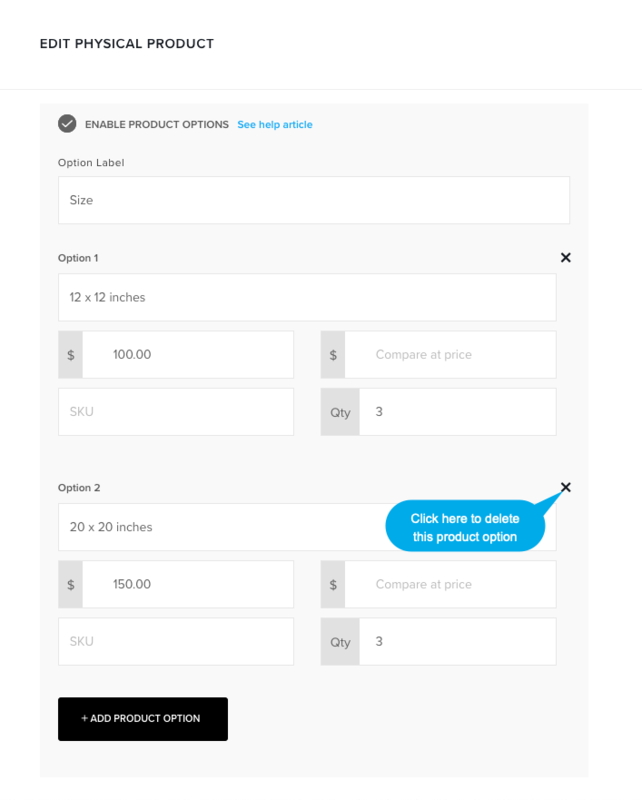 After enabling the product options, you would need to specify a label for the option. For example: Select Size, Color, Select Package etc. After specifying the option label, click on the Add product option button. To add more options, click on the add product option button and click on cross (x) icon to delete any particular product option. Don’t forget to save your product. Compare at price: Optional value to put your product options on sale. Compare at price is the un-discounted price of the product and should always more than the product price. 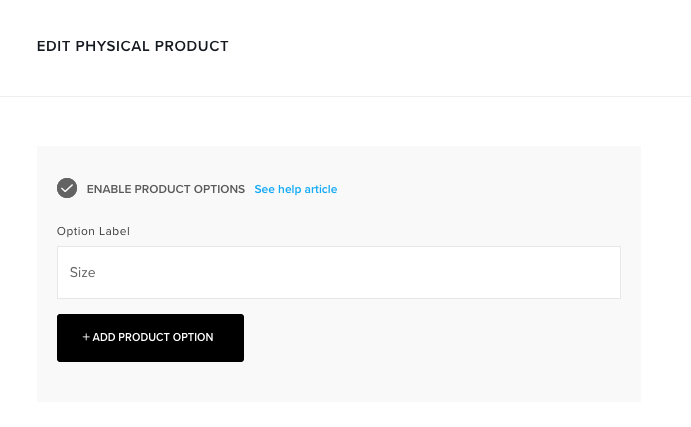 The options you just created show up as a dropdown on the product page on the website. Visitors can select the option they want to buy from the dropdown. The selected option price is applied to the product. Have a look. Can I add multiple product variant options to any product (like size, color etc)?